"He definitely sees things in a different way. He thinks differently. And I think a lot can be learned by other photographers. They’re all at the same event but nobody else saw the same thing.” – James Colton, Photo Editor Sports Illustrated from PDN Cover Article 2007. “Donald is great at any challenge set before him. He is a true visionary and problem solver. I’ve had the pleasure of working with him on several occasions and the outcome has always been stellar. He’s an absolute Team Player and linchpin on any project.” – Jason Murphy, Art Director Nike. With more than 50 international awards to his credit including six World Press Awards, Donald Miralle has been recognized as one of the most innovative photographers in the industry for the past two decades. Born and raised in Southern California, Donald graduated from Loyola H.S. and University of California, Los Angeles with a B.A. in Fine Arts. 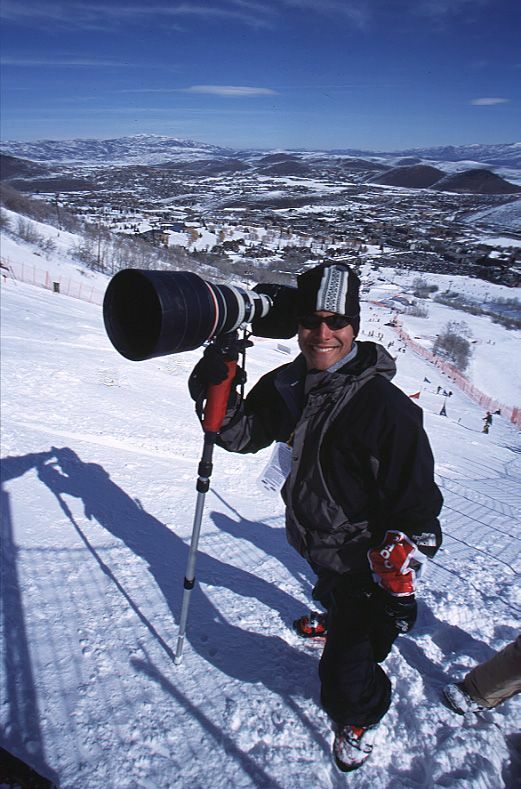 His artistic and creative approach to his editorial and commercial photography and has been sought after by some of the largest agencies, publications, and brands to shoot the world’s greatest athletes, biggest events and most remote locations. Miralle’s work has been profiled in publications including Photo District News, British Journal of Photography, The Holland Times, The San Diego Union Tribune, and Top Magazine in Brazil; as well as on TV shows like ESPN, Entertainment TV, and the Today Show. Donald has served as a keynote speaker at many international events including the PDN PhotoPlus Expo, Great White North Workshop, UAPP, Danish Photographers Union Convention, and is active in the education of photojournalism at colleges and workshops including Brooks College, Art Center Design, BYU, Sportsshooter Academies, and the 2.8 Dueeotto/Donald Miralle Sports Photography Workshop in Italy. In addition he has served as a jury member for the Best of Photojournalism, Swedish Pictures of the Year, and the Wisconsin and Utah Press Photographers Associations. Donald is also the founder and owner of Leucadia Photoworks, the only full service studio and photographer collective in North County San Diego. His wife Lauren and their two sons Luke and Micah make their home in the beach community of Leucadia, California and enjoy surfing, paddling and drinking craft beer in their spare time. Pictures of the Year International: 2005, 2006, 2007, 2008, 2009, 2011, 2012, 2013, 2014, 2015, 2016, 2017. Behind the Lens (Arnold Newman, Brent Stirton & Donald Miralle) 2005 New York. Arets Bild, 2007 & 2008 Sweden. Union of Danish Photojournalist Conference, Keynote Speaker, 2011 Copenhagen DEN. 50th Anniversary National Convention of the University Photographers Association of America (UPAA) Keynote Speaker, 2011 Salt Lake City UT. PDN PhotoPlus Expo, Keynote Speaker, 2006 New York. Great White North Workshop, Keynote Speaker, 2006 Vancouver Canada. Sportsshooter Academies, Instructor, 2005-2008 Los Angeles, CA. 2.8 Dueeotto/Donald Miralle Sports Photography Workshop, 2013 Torino Italy. Leucadia PhotoWorks, The Workshop. 2016 Encinitas , CA. The GeekFest, Keynote Speaker, 2017 Pasadena, CA.